What is it with these powerful storms during the last weekend of October? The October snowstorm of 2011, Hurricane Sandy in 2012, and now a powerful "southeaster" that knocked out power to 180,000 utility customers in Connecticut. 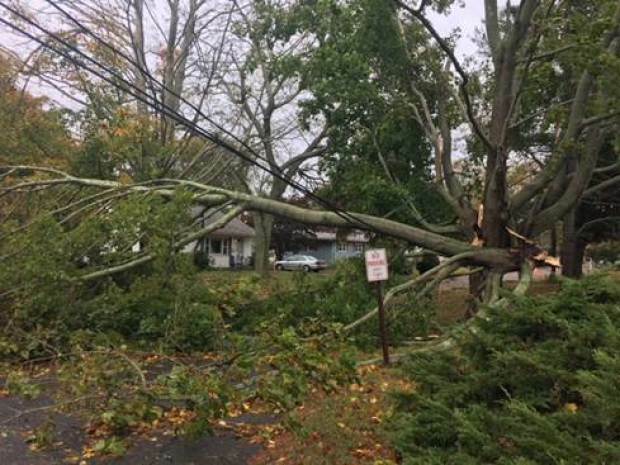 The storm set an October record for lowest pressure in many stations in New York State which is a testament to its strength. 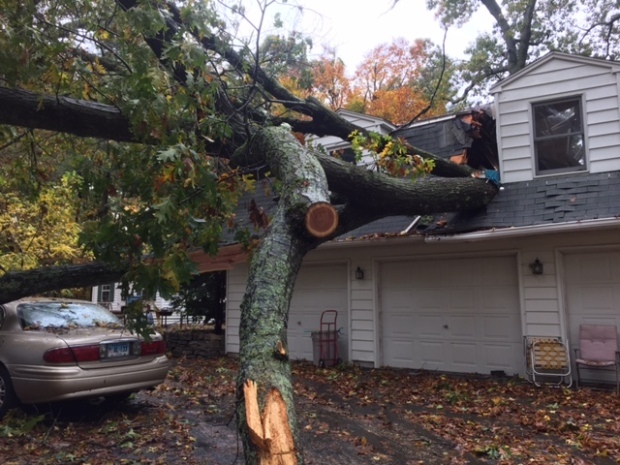 Damage was widespread with uprooted trees and snapped power lines throughout New England. 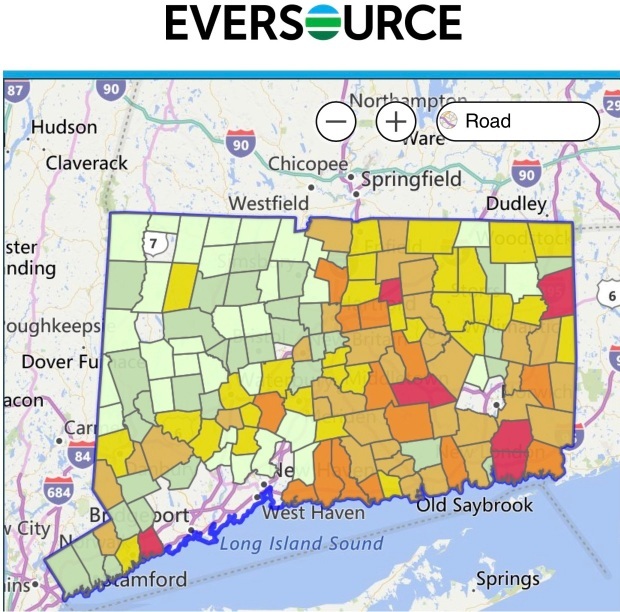 Across Connecticut the strongest winds occured in southeastern Connecticut. 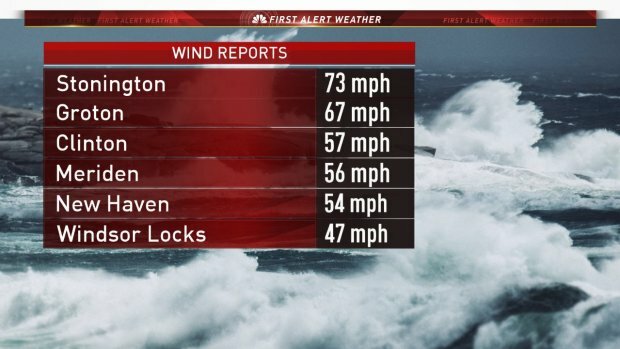 The WeatherFlow station on the Outer Breakwater in Stonington Harbor gusted to 73 mph. The Groton-New London Airport gusted to 67 mph and there were widespread 50-60 mph gusts across the state. 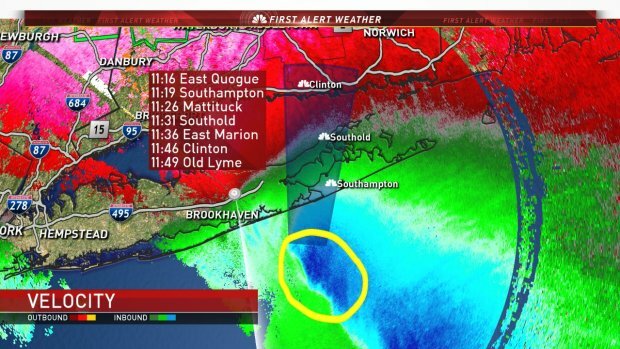 The storm was quite remarkable on radar with a southerly low level jet of near 100 knots (115 mph) showing up over Long Island and moving north into Connecticut. Thankfully, only a fraction of these powerful winds mixed down to the ground. Farther north, Mount Mansfield in Vermont gusted to 115 mph as the core of the low level jet crossed the mountain's more than 4,000 foot summit. Mount Washington in New Hampshire gusted to 131 mph! Out on the Cape a gust to 96 mph occurred in Mashpee and Conimicut Light in Warwick, RI gusted to 81 mph. Thankfully the storm's peak arrived at low tide. 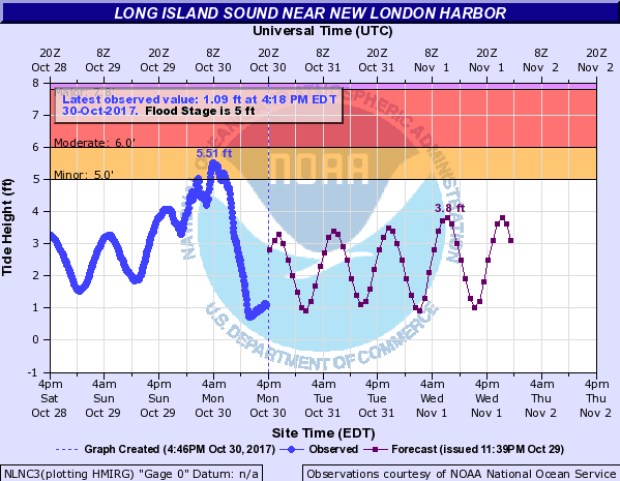 Believe it or not most of the coastal flooding (and it was minor) occured in the morning as residual water levels in Long Island Sound were shoved toward the coast around daybreak near high tide as the wind shifted to southwesterly. A wind gust of 40 knots in Groton corresponded with this peak in tide levels. Minor issues and flooding were reported from Old Lyme through Stonington. The forecast worked out quite well. We were forecasting 60-70 mph winds along the shoreline and 45-60 mph inland and most areas fell in that range. The peak of the wind occurred almost exactly when we expected between 10 p.m. to 2 a.m. as the core of the low level jet moved overhead. The question always is how much of the wind a couple thousand feet above our head will mix do the surface. Gravity waves and thunderstorms can do it and result in a particularly nasty bout of winds and another way to do it is to decrease the low level stability. We did that through most of Connecticut by increasing the temperature near the ground which promoted a bit of mixing. 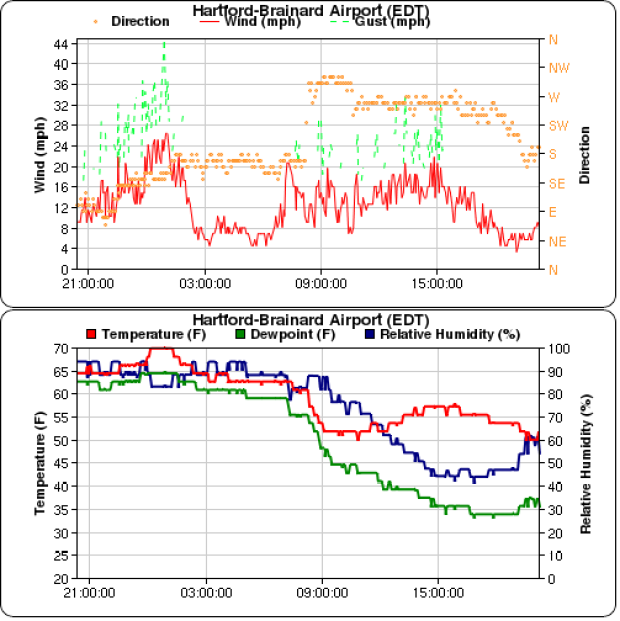 Here's a look at Hartford which managed to gust to 44 mph as the temperature spiked to 70F after being in the mid 60s a few hours prior. One of the reasons the damage was widespread was the incredible amount of rain we've seen over the last 7 days. 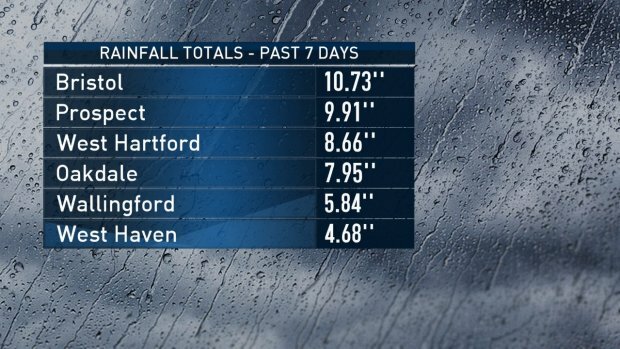 Bristol has picked up over 10" of rain with my backyard in West Hartford receiving just shy of 10"! Heavy rain and saturated soil managed to uproot a number of trees.